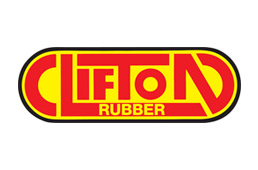 Established in 1973, Clifton Rubber Co. Ltd is an independent family owned business which is now one of the largest rubber products manufacturers in the UK. We maintain several manufacturing capabilities including: rubber moulding, rubber roller covering, polyurethane moulding, polyurethane moulding and rubber gasket cutting. Clifton Rubber also manufacture and supply various standard rubber products to various customers across a range of industries including agriculture, transport and recycling to name a few. As an experienced rubber product manufacturer we work hard towards being the best in industry by manufacturing high quality rubber products, maintaining competitive prices and providing a dependable service to our customers.